All Rounder Hockey are very proud to stock the Kookaburra Hockey Stick Range for 2017/18. This is because every Kookaburra Hockey stick is tested using specialised technologies and features extremely stylish designs. 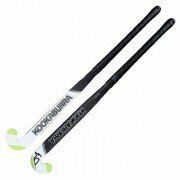 Kookaburra Hockey have optimised their hockey stick enhancements so that their range can be as revolutionary as possible. Thus the range has been redesigned using the top breakthroughs in hockey engineering. The new Kookaburra Range for 2017 includes new models of the classic Kookaburra Team Midas Hockey Stick and Ultralite Xenon to name a couple. But, the range also features the brand new Phantom Low Bow Stick, the ultimate combination of style and playability. Kookaburra’s engineers have focused on innovation of the science of stick enhancements for 2017/18. Kookaburra Hockey has an outstanding peer-review scheme to understand what is needed in their hockey sticks. Kookaburra Hockey range now benefits from the use of ground breaking Tri-Core Technology used in the Team Midas, Origin, Dragon and Phoenix Sticks for 2017/18. Team Midas, Team Dragon, Team Phoenix and Team Ignite. They are the ultimate player quality hockey sticks. Kookaburra Ultralites are built 4 ounces lighter than conventional models, perfect for agile players who want to cover a lot of ground. Kookaburra LBow hockey sticks offer sublime performance with eye-catching style. Maniac, Stinger, React and Viper hockey sticks. 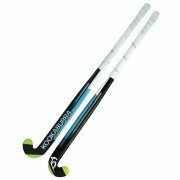 Kookaburra MBow hockey sticks boast enormous power with many profiles to choose from. Experts perfect it, connoisseurs perfect it.